What’s in a Smile for a Person With Parkinson’s? 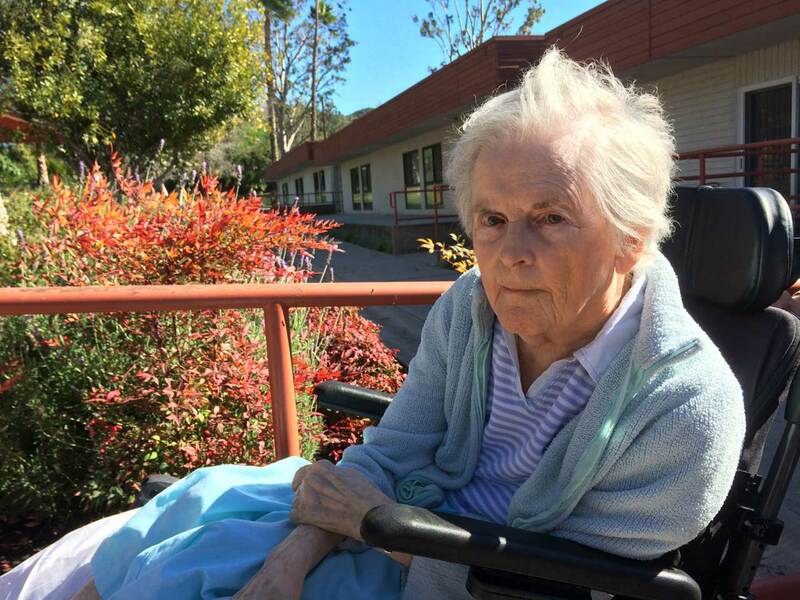 January 25, 2015 | by Darcy Blake | Our mom, affectionately know as Patsy, has lived with Parkinson’s disease for over 25 years and is confined to a wheelchair. She is about to celebrate her 87th birthday, and she lives in a nursing home. On our last visit, she told my sister and me that she was worried about not being able to speak. Parkinson’s disease (PD) is a brain disorder that causes a gradual loss of muscle control, which may include vocal chords. Mom’s voice has dwindled to a soft whisper, but it hasn’t stopped her wry sense of humor. When we congratulated her on the eve of her birthday, she insisted that she was over 100 years old. “Just another of my worries,” she said. Facial symptoms of PD include infrequent blinking, fixed expression, and a smile that develops and fades slowly. Referred to as “facial masking,” these symptoms may give a Parkinson’s person’s face a grim or set look, because smiling and other facial nuances are difficult to express. During our visit, we practiced smiling for the camera. After many shots, the last photograph of her was perhaps the best–capturing a short-lived Mona Lisa smile. According to a neuro study on Mona Lisa, our eyes send mixed signals to the brain about her smile. Different cells in the retina transmit different “channels” to the brain about an object’s size, clarity, brightness and location in the visual field. “Sometimes one channel wins over the other, and you see the smile, sometimes others take over and you don’t see the smile,” says Luis Martinez Otero, a neuroscientist at Institute of Neuroscience in Alicante, Spain, who conducted the study along with Diego Alonso Pablos. Mom’s smile though similar to Mona Lisa’s in expression, is due to lack of dopamine in her brain that controls muscle movement, whereas Mona Lisa’s smile according to the study, is due to a neuro mix-up. What’s in a smile? In my mom’s case, she was an artist, and self-expression was her life passion. Now unable to move around to draw and paint, her smile and voice are her last tools for communication. Her worries are understandable, since self-expression is her lifeline to the world. On mom’s behalf, my sister and I will join many members of the Parkinson’s Women Support group at Moving Day® Silicon Valley on April 25. We’ll be carrying a poster of mom with us, hoping to raise funds for the National Parkinson Foundation and awareness for Parkinson’s Disease. We hope that you will join us. We’ll be smiling and celebrating movement with the PD community. Register for this unique fundraising event in San Francisco on April 19, or in San Jose on April 25, http://www.movingdaybayarea.org. Join one of the existing teams such as our Parkinson’s Women Support team in San Jose, or start a team of your own friends and family! For more information, contact Colleen Fischer, Moving Day® Bay Area Coordinator, National Parkinson Foundation at 925-421-6737, cfischer@parkinson.org. such a nice story darcy, thanks for sharing it. wish you and your mom all the best!